To learn about people, simply look into their eyes. The eyes reveal how we feel and what we feel. They expose energy, pain, a lifetime of smiles, youth or lack of it. Like the rest of our bodies, our eyes and skin around them succumb to lifestyles, stress levels, and more. They require upkeep to maintain their vitality. The good news: There is much we can do to keep our eyes looking healthy and young, from maintaining healthy lifestyles, to having procedures aimed at addressing each and every cosmetic concern. If maintaining beautiful eyes is your goal, you can’t discount lifestyle. A healthy lifestyle is the foundation of healthy, vibrant eyes. eating foods rich in antioxidants, especially colorful fruits and vegetables. Healthy lifestyle aside, we can’t control what happens with genetics and age. For those cosmetic eye concerns, there are a host of solutions. Most result in little or no downtime and can be done under the radar. 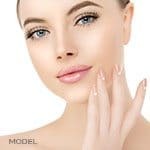 However, there are some procedures, such as the surgical browlift, which require that patients take time to rest and heal. Procedures can be combined, mixed and matched, and are customized depending on each patient’s needs and goals. Botox or Dysport (neuromodulators) to raise the brows, open the eyes, and diminish crow’s feet. In most cases, there’s no downtime and results of this “mini lift” begin to appear almost immediately. Neuromodulators also are ideal for erasing the frown lines, which makes us look angry or stressed. This cosmetic solution, however, is not the answer when patients have a lot of brow laxity (low sitting brows). For that, we might turn to fillers or, in more advanced cases, to a surgical browlift. Restylane, fat and other fillers to address dark circles around the eyes, plump crow’s feet and lift the forehead, and rejuvenate cells that go along with the fat help restore the skins youthfulness. You might think lightening the dark circles around the eyes requires skin lightening, but it doesn’t. The circles around the eyes are due to loss of volume and thinning skin. We’ve written about how we use fat and stem cells. 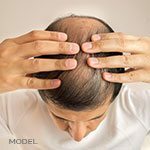 Stem cells help to repair and regenerate tissue. Around the eyes, we delicately place fat and stem cells to raise the brows, helping to take away that telltale angry look. We’ve had great success putting the fat and stem cells under the eyebrow, which helps to lift not only the brow but also the eyelid. 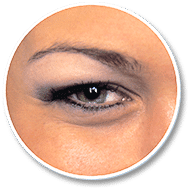 We put fat in the upper eyelid—especially the outer two thirds, which helps to give it a forward curvature. And by placing fat and stem cells in the lower eyelids and area around the temples, we greatly diminish crow’s feet. For very slight wrinkling, lines or lifting, a touchup with Restylane filler might be all that’s needed for a rested, rejuvenated appearance.